27811 Cliff Top Court Menifee, CA. | MLS# SW18196642 | Temecula, Murrieta, Menifee Homes for Sale & Property Management! Motivated Seller!!!! Huge Price Reduction!!!! Awesome large lot with RV Parking located on a Cul-de-Sac!!! 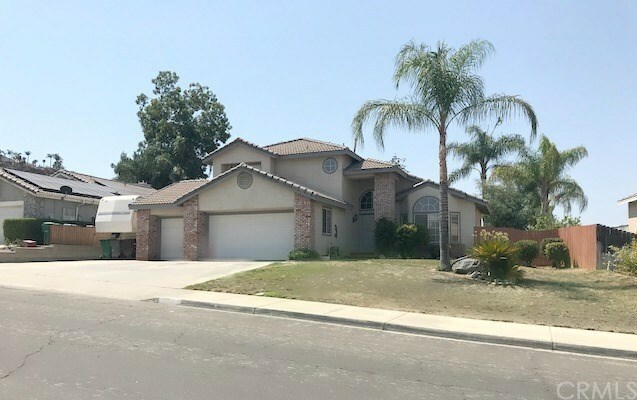 This well cared for home features 4 full bedrooms (one downstairs) 3 full bathrooms (also one down stairs), Beautiful large fireplace in family room, has formal living and dining area, Kitchen offers bay window seating for a table knook, plenty of cabinet space! Downstairs guest/full bathroom is remodeled with new cabinetry, fixtures, and granite counter tops! Master bedroom is spacious with vaulted ceilings and connected to an awesome bathroom with walk in closet! Three car garage with 220 installed in garage. Don't miss this home!!! LOW TAX RATE AREA and NO HOA's!! !